Miami never sleeps. So are we. 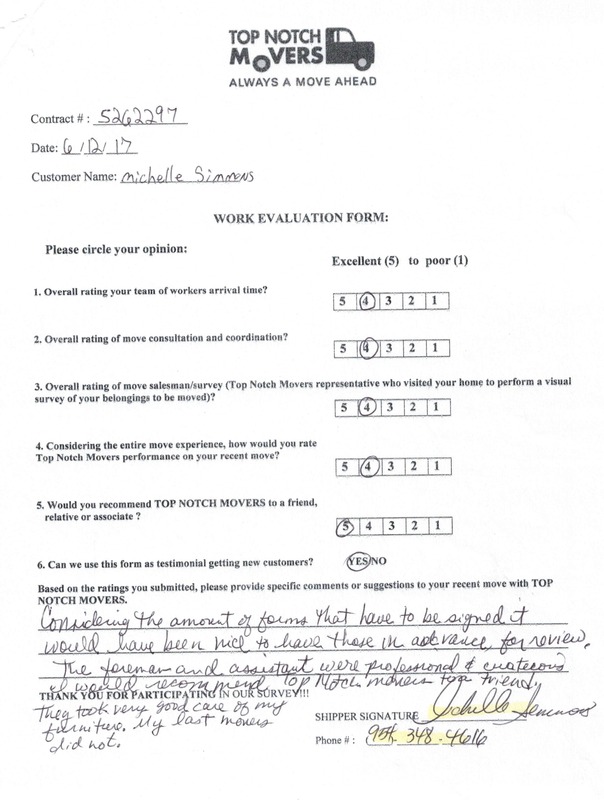 Top Notch Movers offer quality moving services to the residents of Miami since 2009. Moving locally? We can help! Full packing services, packing materials, and more. Precise estimates, quality service, short delivery time-frames. Affordable rates, no hidden fees. Need to move your business? Contact us today. Follow this link for a complete list of services. Miami movers, licensed and insured. Whether you’ve moved a hundred times or if this is your first big move, making that jump to a new place isn’t always easy. From finding a moving company to getting everything ready for the big day, there’s lots of preparation in moving. Top Notch Movers is catering to the Miami area and beyond. Before you make any big decisions or even make a deposit on your move, make sure you get a few quotes to estimate how much your move is going to cost you. While some Miami moving companies may want to do this over the phone, it’s probably a better idea to have them come out to your current home. Moving is a big experience for anyone; it’s a new chapter of your life, so make sure it starts off right. Make sure your belongings are kept safe and secure by hiring a company that takes its packing processes seriously. If you’re trying to save a few extra dollars or if you’re just trying to keep your belongings extra safe, consider packing your items on your own; that way you can absolutely ensure that everything is safe and avoid any liability issues. In addition, packing your own items can make the unpacking process a little easier on you. By labeling your own boxes and setting things up on your own, you’ll be able to remember where everything is when it comes time to unpack. Moving our client from Miami Beach to Vero Beach, Florida. Five bedroom house. Packing with care. Furniture packed for a client in Miami, FL. Our full-packing services include packing of the furniture and boxes. 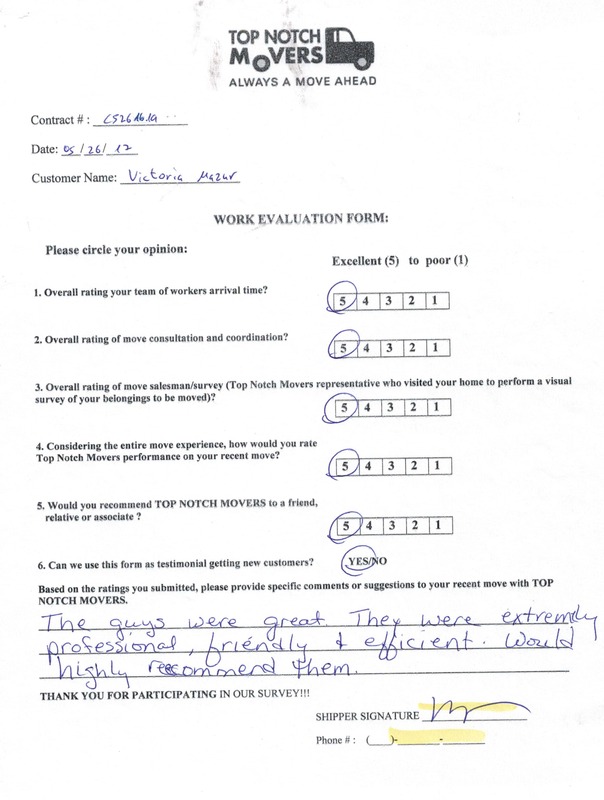 Top Notch Movers, our Miami team. We gathered for a quick photo after completion of the move. Local move within Florida. Provides you with a guaranteed price so there are no surprises. Equipped with a team of professionals. Only offers quality moving services. Has the list of references for you to view. 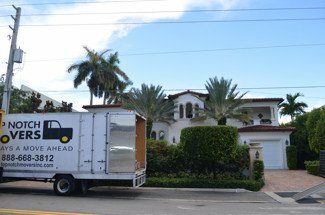 Do you need to hire movers in Miami? It depends. Hiring a moving company can be either the best or the worst decision you will make. From one side movers can make your move easier, from another – more complicated. You have to do your research and make sure that the moving company you are working with is best. Otherwise don’t be surprised by a headache, unexpected fees or other surprises. Choosing Top Notch Movers will always be the right move. We meet and exceed all the requirements for the relocation company. Call us, ask what are so special about us. What are the benefits of hiring a mover? Save Time – We all know how long it takes to move, especially when you are doing it yourself or with the help of your friends. Hiring a moving company to get the job done will save you hours on your move. 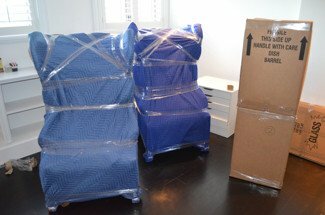 Movers are efficient, organized and well equipped. Stay Safe – Have you ever lifted a dresser or a couch? These items can be very heavy. Movers are trained to work with the weight. Moving companies provide field crews with straps, hand trucks and other equipment to help with the lifting. Don’t even think of moving a piano or a safe on your own. Everything you need, we can offer. Only quality moving services. Contact us today to get your moving day set up! 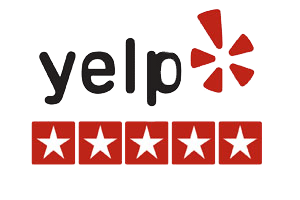 We promise that once you experience what our Miami movers have to offer, you’ll ever look for another moving company in the Miami area again. While South Florida is surely going to be sad to see you go, you won’t be sad about any bit of your moving process. 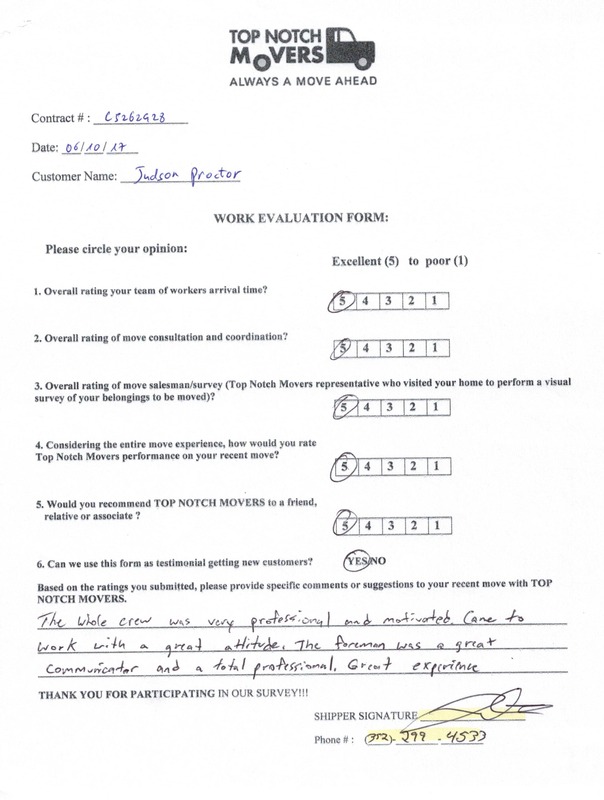 Call Top Notch Movers today and we’ll help you start the first step of that big move. Homeowners and apartment tenants benefit the most from our moving services. These are people who want to ensure they won’t have to spend their time off lifting heavy boxes and moving to their new area. They can simply mark and outline where everything goes and let a moving company do it for them! A good commercial moving company should have the ability to move all of your office belongings from location to location without running into any problems. The cost of the move should also be a concern when you are choosing your commercial movers. Is the moving company going to give you a good price for the move while keeping all of your office belongings safe from harm? 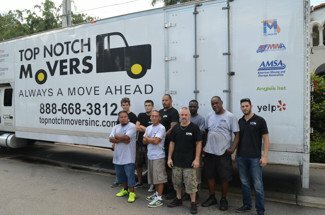 Top Notch Movers offers long distance moving services to our residents in Miami. We can help you move to more than forty-five states. Our affordable rates and great delivery time frames won’t leave you unsatisfied. Our Fort Lauderdale Senior Moving Services are ideal for anyone over the age of 55 who might need help moving their belongings. Being relocated and adjusting to a new place is already difficult enough without having to add on the strain of doing it all yourself, let us take some weight off your shoulders. We thank you for your service! Our company offers great rates and best service to the military personnel. Additional perks and discount available. Contact us today. Please follow our regular updates and don’t miss on our specials, we post updates on Twitter, Instagram, Facebook, and Youtube. You can find more information on our team by visiting Linkedin or Google+.